The lieutenant colonel reported to the Deputy Chief of Staff for Training’s office as requested. The Deputy Chief of Staff was a major general. It was a sunny mid morning in early December. The office was at the southwest corner office of the third level of an early 20th Century brick building. The building had once been part of the Coast Artillery School campus and looked out on to Hampton Roads. The building was part of the U.S. Army’s physical plant at historic Fort Monroe, Virginia a large early 19th Century masonry coastal defense fort, one of the largest forts constructed in its program. The lieutenant colonel was the chief of the Concepts and Strategies Division of the Joint, Combined, Collective Training Directorate of the Office of the Deputy Chief of Staff for Training, U.S. Army Training and Doctrine Command. The colonel had been assigned to the command five months previously after serving on a Department of the Army Task Force. The intent of his assignment to Training and Doctrine Command was to continue with some of the work of the task force relative to force training development initiatives. On assignment to the directorate he had been assigned as the lead to a Chief of Staff of the Army initiative to examine the Army’s tactical training system relative to total force training capability against scarce training resources to bring the force to a sustained level of readiness, one that trained the force to mission essential standards. This effort would ultimately develop into the Army’s long lived Combined Arms Training Strategy (CATS). The colonel had interfaced with the Deputy Chief of Staff previously when the Deputy was the colonel commanding 3rd Brigade, 1st Armored Division and the lieutenant colonel was a junior major and executive office of a mechanized battalion in the 2nd Brigade. The 3rd Brigade Commander was the brigade “Major Training Area (MTA) Wildflecken Density Commander as the major’s battalion rotated through its gunnery density at the MTA. The Density Commander had initiated a troop run competition on the mountain ring road of the MTA between the battalions. The major’s battalion participated and did very well. The colonel was a strong proponent in the Army for troops being in the best physical training condition possible…he had cut his teeth in the Ranger Regiment. The major also interfaced with the colonel and his staff for MTA operations. Both officers got on very well. On the major’s now lieutenant colonel’s assignment to the Office of the Deputy Chief of Staff for Training, the colonel now major general was reasonably within context of the type command and duties pursuing aggressive troop conditioning. As an example, the Office Deputy Chief of Staff for Training’s assigned military staff executed the annual physical training test twice as well as several formation runs. The lieutenant colonel as he had done throughout his service career maxed the tests. The general always took note. For this reason the two officers got on well. On this particular morning, the general’s office was in its usual state. It was cluttered with several large map boards on easels arranged around the office. Additional published material in various forms was positioned around the room. The general’s background had been heavily invested in the emerging Department of Defense special operations force that had been forming and evolving since the failed mission to rescue the hostages in the Carter Administration. The purpose of the lieutenant colonel’s requested presence concerned a sudden wrinkle that had developed in the CSA force training system initiative that needed a quick discussion and review and the colonel had recently become the acting director for the directorate on reassignment of the director to brigade command at Fort Hood Texas. Beyond the walls of Fort Monroe the situation relative to Panama had been deteriorating. Imminent action by the U;S. was increasingly likely. The question was when? The colonel on entering the general’s office noted that the general had been intensely focused on some aspects relating to the maps…he did not have time to conceal the material before engaging the colonel. The colonel circumspectly addressed the issue at hand with the general and avoided any reference to the material in the general’s office. The discussion concluded and the colonel returned to the directorate. The general was gone from the command two days later. Within a short time of his departure communications within the command supplemented by media reports indicated that U.S. forces had initiated operations against Panamanian forces. Events moved swiftly and within several weeks active operations ended in January. 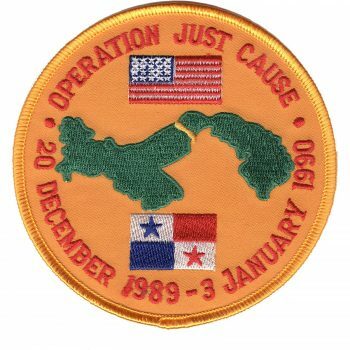 Operation Just Cause initiated on 19-20 December 1989. 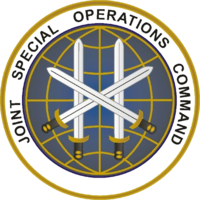 The general had assumed duties as commander of the Joint Special Operations Command (JSCOC) at Fort Bragg on departure from Fort Monroe. The planning he had been engaged in involved the Ranger, special forces and other special operations troops that deployed for the operation, effectively a special operations division. The need for the operation had come on fairly quickly and planning and preparation for a widely dispersed troop list rapidly proceeded in the available time. That the general might be assuming command of JSSOC potentially as operations initiated made his rapid integration into the planning effort for the possible operation in the small space of time available essential. This meant that the general would be doubling up on his duties during his remaining tie as the Deputy Chief of Staff for Training. It was a testament to his unique capabilities as a leader that he did so without any loss in effectiveness or efficiency, to the casual observer until almost the day he departed none in the Deputy Chief of Staff Office knew anything of the situation. The Just Cause Operation would prove successful with minimum loss of life on both sides and minimum collateral damage to civilian concentrations. It would provide valuable insights and lessons learned for following operations. The general would rise to four star rank and command of U. S. Special Operations Command at MacDill Air Force base, Florida. Perhaps most strikingly it was a very complex operation with a wide grouping of disparate forces that proceeded swiftly and with superb mission effect. As impressively the transition from combat operations to community support was immediate and almost seamless. As a leader the general, whether with a line unit, a staff assignment or an elite unit approached duty with an even calm that communicated the importance of mission. He treated all on his teams as colleagues such that a solid professional loyalty formed. He led by example, be it a staff problem or being in front during a troop run. No duty was treated as less than important. The level leader quality the general represented came clear to the colonel when he reflected on the office meeting and what followed. The major general rose to full general. General Wayne A. Downing played a significant role in the continued development of special operations forces in the U. S. Armed Forces.